2GoOnline – Your Website. Your Customers. Low cost! Website live within 10 days! Customers visit your website domain.co.uk and chooses their items with a simple tap or click. Checkout is fast, easy and secure. Payment options include cash, card and PayPal. The order is confirmed and sent to the shop for processing and delivery! Increase your profits, keep your customers. Your own website, for your own customers. We do not market other shops to your customers. No one builds their database from your customers. Your website takes your online orders. Receive orders via wireless mobile printer. and the latest web techniques..
Orders are sent direct to your printer which runs on the mobile network. No buttons to press. Optionally orders can be sent to our Tablet Order Pad for on screen display and printing. Our Order Tablet also allows control of your website opening and closing times with more features being added all the time. – Payouts are made to your account on a monthly basis (within the first 10 days of the month). – When card order value is more than £1,000 card payments we will increase payouts to every 10 days. – A digital PDF statement will be sent to your email with a breakdown of all transactions. – Menu updates are charged at £25 for a full menu update. Occasional small changes are free of charge. – Hardware (printers & tablets), software and domain names remain the property of 2GoOnline. – 2GoOnline must hold control of your Google Map listing to allow us to optimize your SEO. 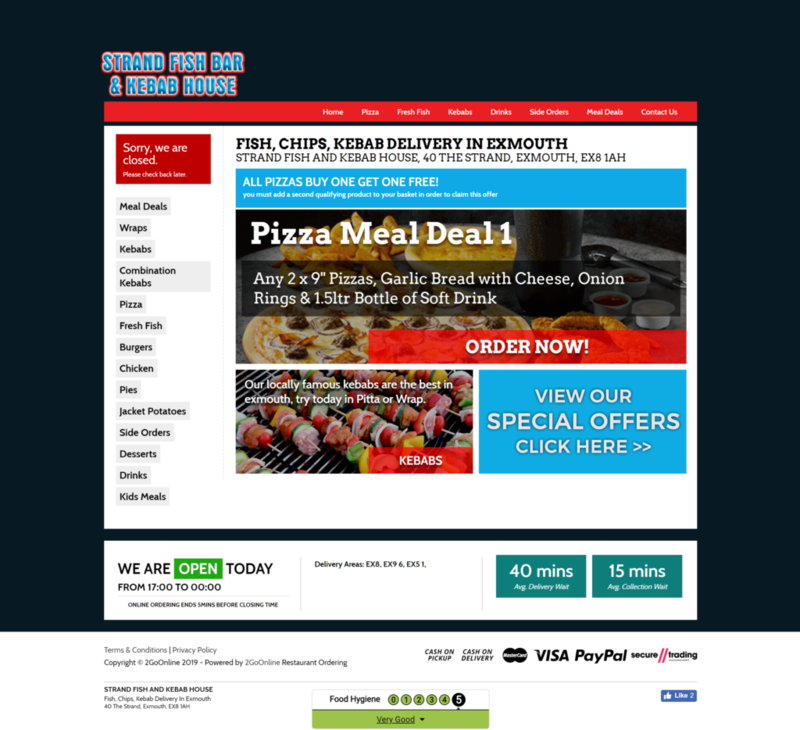 Start your own online ordering website for you and your customers. Receive orders direct to your kitchen via tablet/printer. Get paid into your bank account. Your own website address. © 2019 2GoOnline Ltd | All Rights Reserved.